Green Metal Roofing & Manufacturing Inc. Reviews for Green Metal Roofing & Manufacturing Inc. Completely satisfied with my new steel roof. The added curb appeal is well worth the cost. Hi Chris, thank you for taking the time to write about your experience. 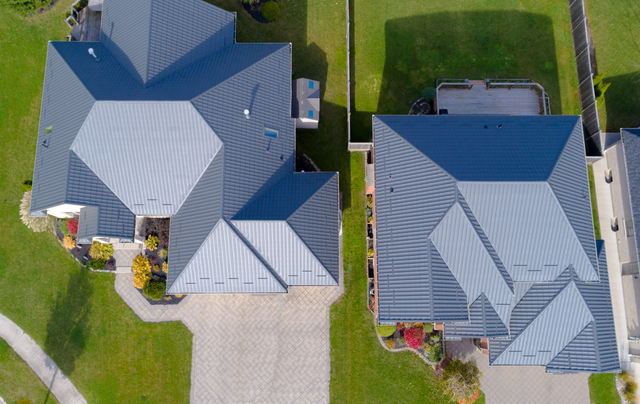 You will have peace of mind for years to come, knowing your home is protected with a metal roof from Green Metal Roofing. My roof was installed October 12, 2018. I was so impressed with the three polish workers. They work hard. Over 12 hours the first day and over 13 hours the second day. They made sure my property was well cared for and my roof was done to perfection. Also a shout out goes to Sebastian, the sales rep for Mississauga. Every word he promised came true. I would 100% hire Green Metal Roofing. Be careful with other companies. Some don't even put a underlayment. Yes, Green Metal does!!! The wait for Green Metal Roofing is well worth it. Hi Lucy. Thank you for your valuable feedback, we are happy to have another satisfied customer! 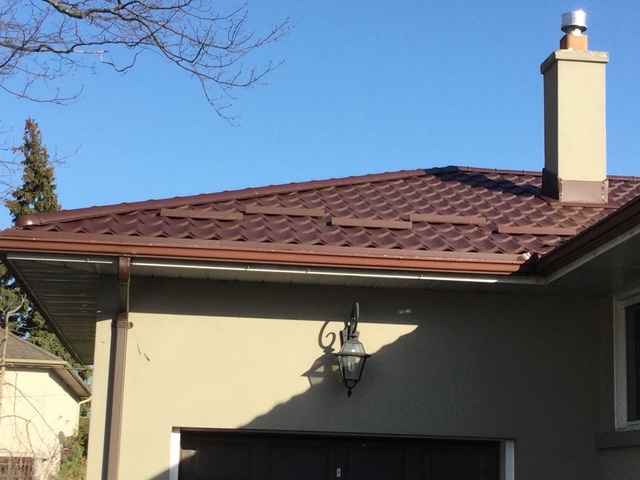 If you are in need of a metal roof, don't hesitate to go to this company. Very professional, great workmanship, and affordable. It was a pleasure working with them, and I would not hesitate to recommend them to anyone. Thank You for your feedback, we are happy to hear that you enjoyed the experience. Best contractors I've ever hired. The team of Janek, Daniel and Lukasz were very organized, professional, efficient and punctual. They worked hard and always cleaned up after the job. I definitely recommend them for anyone looking to replace their roof. Thank You for the great review! We will pass this info along to the crew. Although we had delays on the material arriving ( beyond their control ) and a few challenges having a few contractors showing up at the same time, I must say - we are 100% satisfied. Stan and his team worked with us and were able to accommodate us as we required. The crew was very dedicated, hardworking and on a daily basis ensured the area was left clean. The quality of the metal is unbeatable and the curb appeal is absolutely stunning!! What a fantastic job! Thank you for Everything Stan!! Thank You for your review, and thank you for working with us to get the job done correctly. We take pride in making sure that everything is top-notch. What sold us on this company was the professional, friendly, patient and kind sales representative who was Peter. 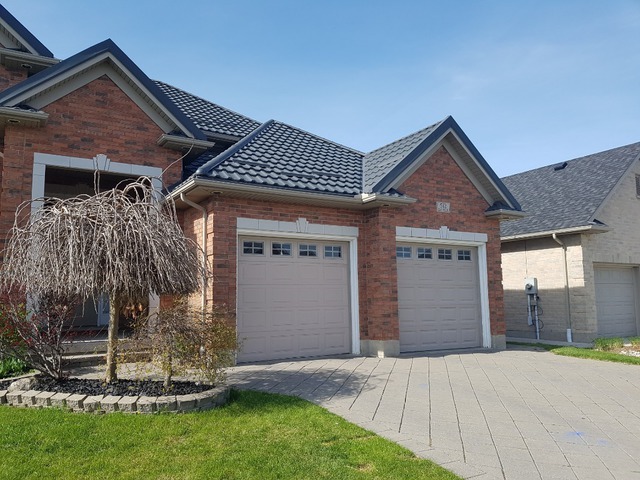 Explained everything and answered the many questions that we had concerning our roof thoroughly and did it without putting on any pressure for us to make a decision. He took his time and was very comforting to us. We had "many" other companies come to give us quotes and none of them compared to Peter's professional approach and this company. Job done within 2 days with excellent workers and quality workmanship. We are very pleased and have had many people slow down or stop by the house to compliment us on the roof. Thanks to all. Thank You Munros for choosing Green Metal Roofing and for taking the time to write about your experience. We are happy to have helped you solve your roofing problem! We very highly recommend Green Metal Roofing!! 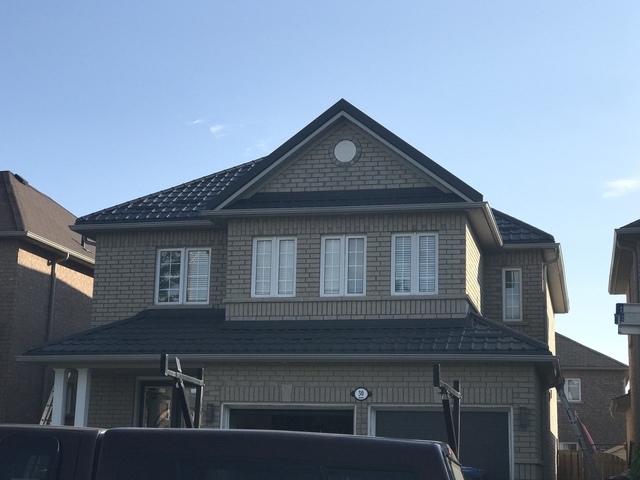 When our roof needed replacing, we decided to get quotes on a metal roof. David from Green Metal met with us - he came at the scheduled time, and kindly answered all our questions. He gave us the approximate time period when the team would come to install the roof. The roofing team came on schedule, was very hard-working, paid attention to detail, completed the job as required, and cleaned up afterward. Their workmanship and the materials used were excellent. David monitored the work and did a check afterwards. Stan was also very kind, helpful, and excellent to deal with! Our roof is now outstanding and we have received many compliments - couldn't ask for anything more! If you're contemplating getting a metal roof, check out Green Metal Roofing - you will be happy you did! Thanks to Green Metal Roofing!! Hi Harry, Thank You for the great rating and your review. We are happy to welcome you to the Green Metal family and thank you for your recommendation! Thank you Stan, Mike and crewmen for the wonderful work. We were amaized at the speed and professionalism of your men. 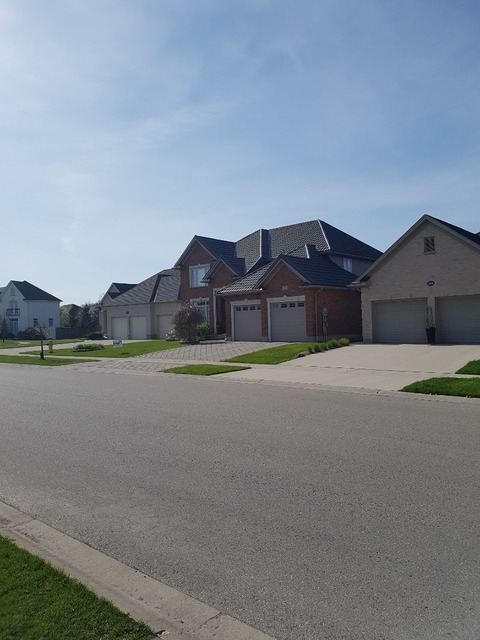 2 days for a beautiful Riviera Chocolate brown roof the neighbours stoped by to express interest and compliments. Have a profitable summer! Everyone should change to metal roofs, since all the shingles go to the ladfields. Greenroof means really thinking about the future! Thank You Anna for your feedback, we are happy that you chose Green Metal Roofing to install your new metal roof. We had an ongoing stressful problem with a pesky raccoon who chose our attic to grow her family. 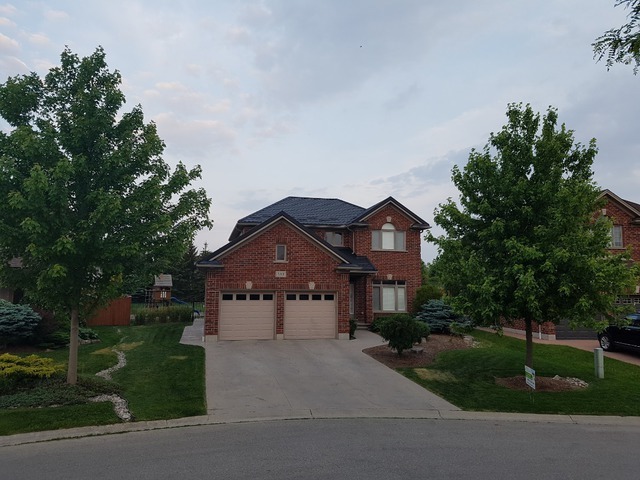 After a number of repairs of our shingle roof, cutting all the trees well away from the house and several visits from an expensive pest control company, we decided a metal roof was the best way to go. 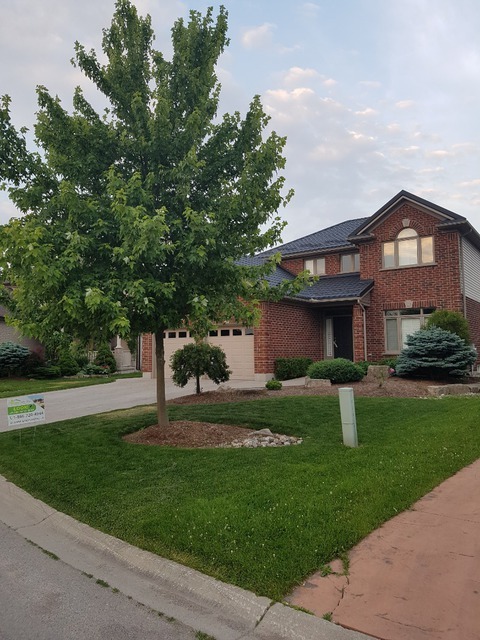 We found Green Metal on Homestars and visited their showroom in Mississauga. Stan, the owner, met us there, showed us the products and gave us a rough quote based on our estimate of the measurements. Stan was friendly, informative and experienced. We liked the cost, the selection and that the product is fabricated locally. Within the week, Sebastian came to the house to measure and requote...it was almost bang on what Stan had guessed. 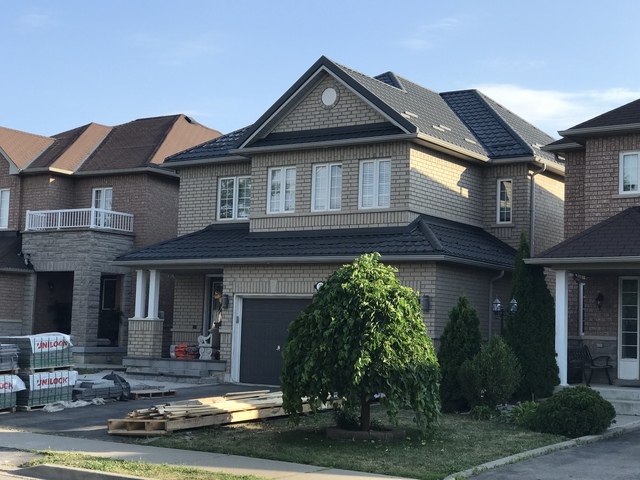 We made an easy quick decision on the style and colour to get the process in motion and within two weeks, the roof was done! Stan, Sebastian and the crew were really great, always professional and very responsive. We dealt with one short weather delay of a couple of days but the communication was excellent to make sure we knew what to expect and when the crew would be onsite. I can't say enough about how good this company was to work with and the roof looks awesome. 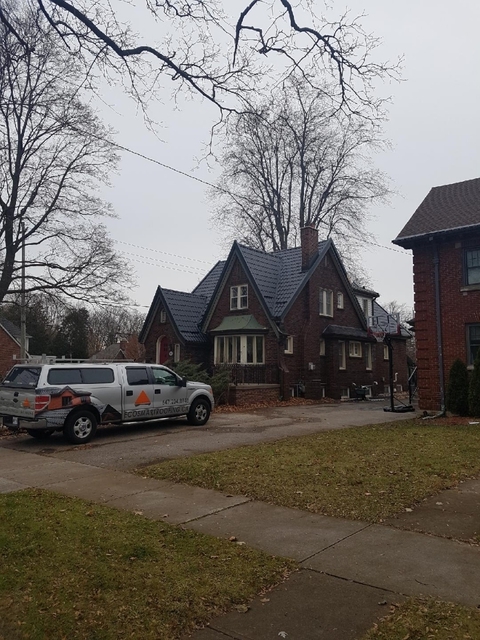 No, we didn't want to spend the extra on a metal roof but looking back, the security and piece of mind is more than worth the cost. Plus, the raccoon is gone and it’ll add to the resale value of the house in the long run so win, win, win. Hi Paul, we are happy to hear that you no longer have a raccoon problem!! You will be happy for years to come knowing you chose a metal roof from Green Metal Roofing and Manufacturing! One of the main reasons we chose Green Metal Roofing was because of their great reviews (98%). We were impressed with Sebastian, the Area Sales Manager. He was very knowledgeable, attentive and responsive. He was thorough in examining our roof and helping us choose a style that worked for our low pitch roof. (Our old asphalt roof had only lasted 9 years before it started leaking.) The installers, another Sebastian and Daniel were good workers. They showed up before the sun did and worked hard all day. We had our roof installed just after Easter and there was a big wind storm. I didn't expect them to show up that day, but they did because they were worried about us not having our roof finished with high winds and rain coming. They worked until the winds were just too strong. We now have a lovely roof and feel very secure for a lifetime. One of our neighbours asked if the roof was noisy when it rained; and after yesterdays ice/rain/hail storm i can verify that it is pretty quiet. Thank you for your feedback. We know that many people are frustrated with their shingled roofs and we are here to help! You can sleep well knowing your house is protected for years to come with a metal roof from Green Metal. More about Green Metal Roofing & Manufacturing Inc.
Green Metal Roofing Inc. is the ultimate choice in metal roofing and cladding products. 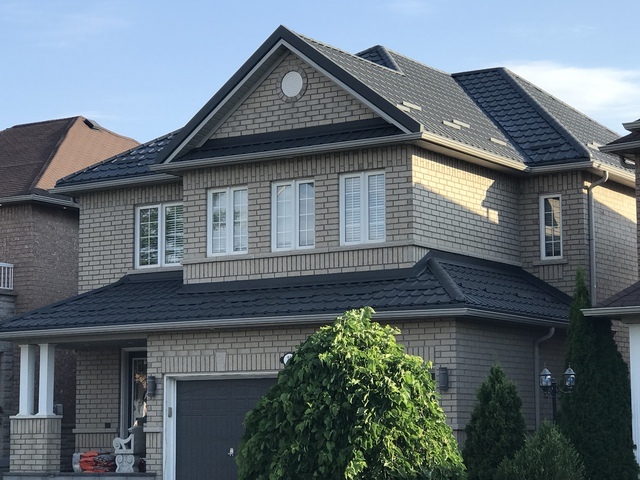 Canadian owned with nearly four decades of expertise in metal roofing manufacturing, we take pride in providing the absolute "best in the class" industry value. Our quality German steel materials, the largest selection of profiles, together with manufacturing expertise and craftsmanship, is what sets us apart from our competitors.